Could the triple-fan design of this third-party graphics card blow away the competition? 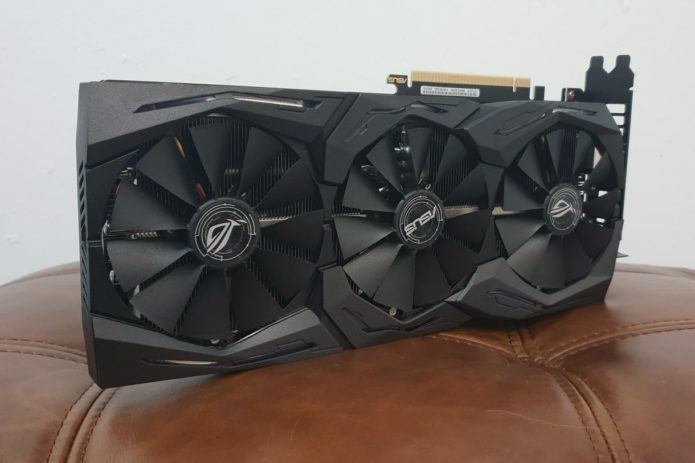 What is the Asus ROG Strix RTX 2070? The ROG Strix RTX 2070 graphics card is an Asus alternative to the Founders Edition supplied by Nvidia. While Asus’s GPU and design tweaks will slightly affect performance, the card still shares the same architecture as Nvidia’s original. Sandwiched between the recently released RTX 2060 and the ultra-powerful RTX 2080 Ti, the RTX 2070 is one of two mid-range options in the Turing family. This creates a bit of an issue. It’s no longer the cheapest RTX card available, nor does it offer the smoothest frame rates.